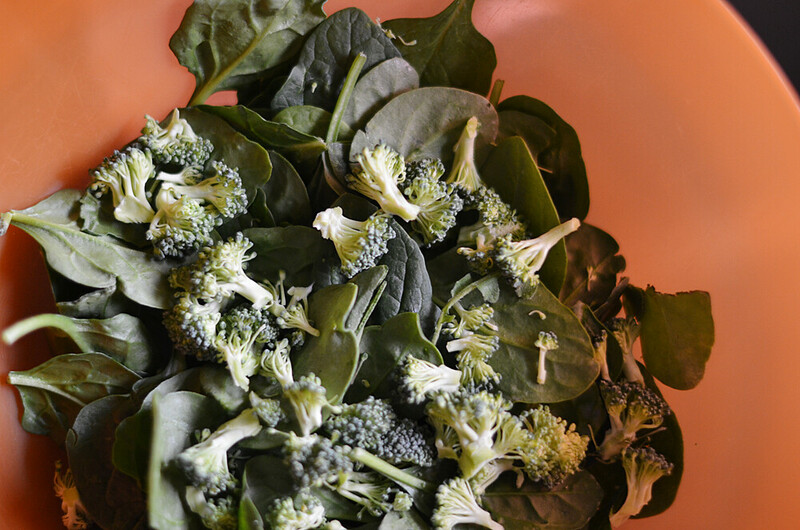 161/365 :: Lately I have loved adding broccoli chopped really small to our salads. It makes them extra delicious. If you like broccoli, that is. 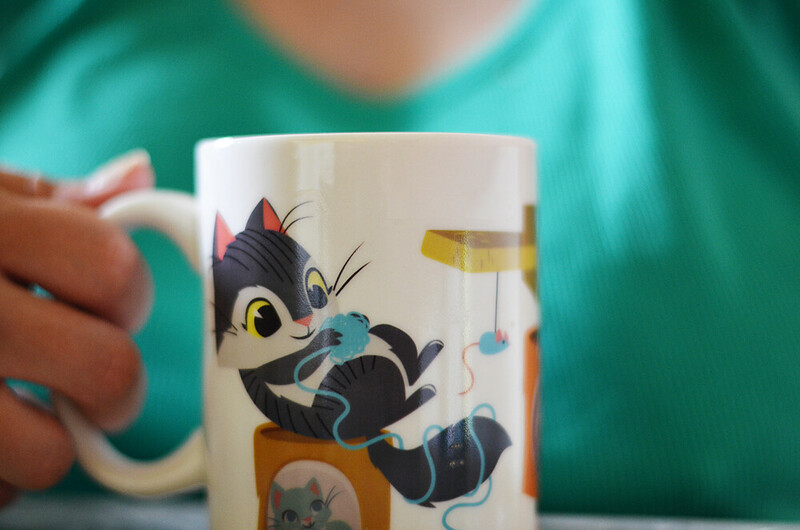 162/365 :: My very favourite mug. Thank you Alex! 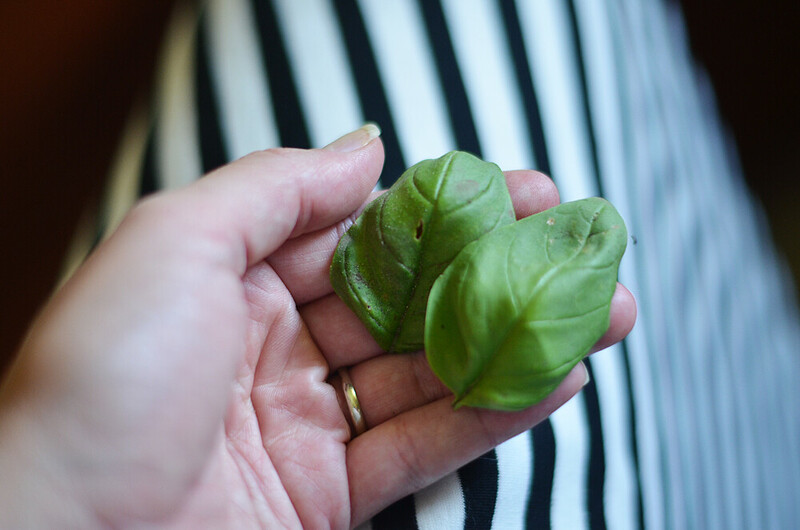 163/365 :: Basil from the garden! I made a yummy drink with this which I will tell you about eventually. 164/365 :: Our roses look so pretty this year. Last year I think there were two flowers on the whole plant. I'm so happy that they look amazing again! 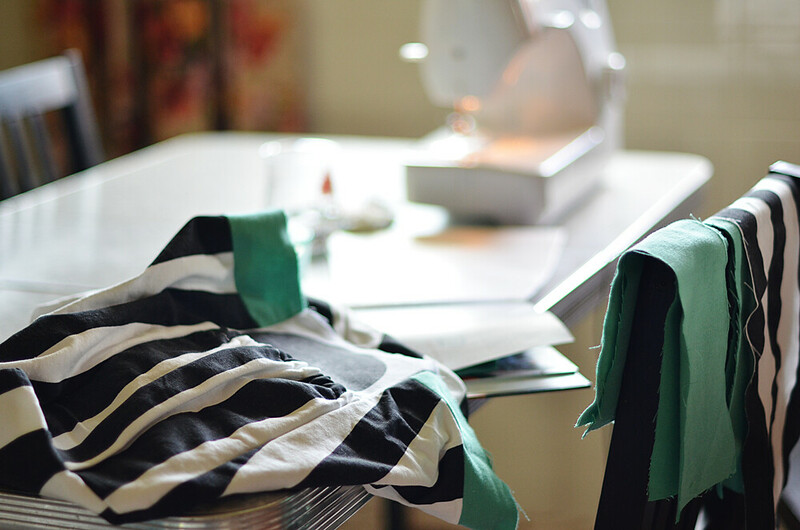 165/365 :: Andrea came over and I did some more work on my diaper bag. I didnt' end up having time to finish it on the weekend so I'm planning on spending some time on it today. 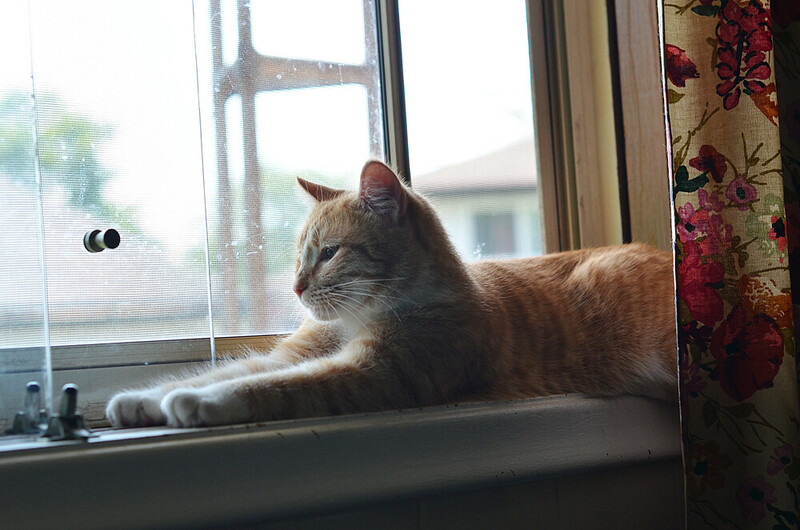 166/365 :: The prettiest Pinny hanging out in the window. 167/365 :: My mom and I went over to my Grama's house before the new owners take possession so that I could take photos of the door she used to measure my cousins and I on. 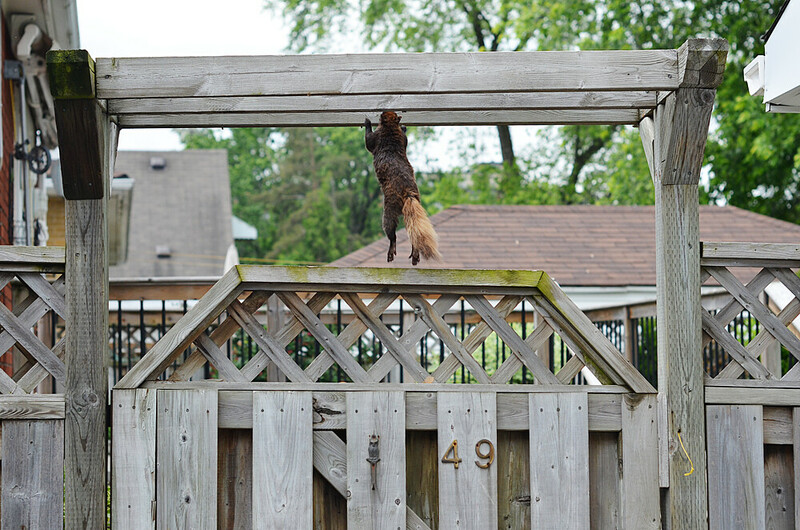 When we arrived there was a guard squirrel at the back gate who seemed like he did not want us to go into the backyard! This was when he was finally taking off and letting us pass. I made my diaper bag too when I was preggo I used an amy butler pattern ( I just love her patterns, they are so flipping easy to read and follow). It turned out great and I ended up giving it to a friend when she was pregnant. :) Good luck, can't wait to see the final project. Such pretty photos! The roses look beautiful, and omg that squirrel! How funny. And mm can't wait to hear about the basil drink! Lovely snaps! 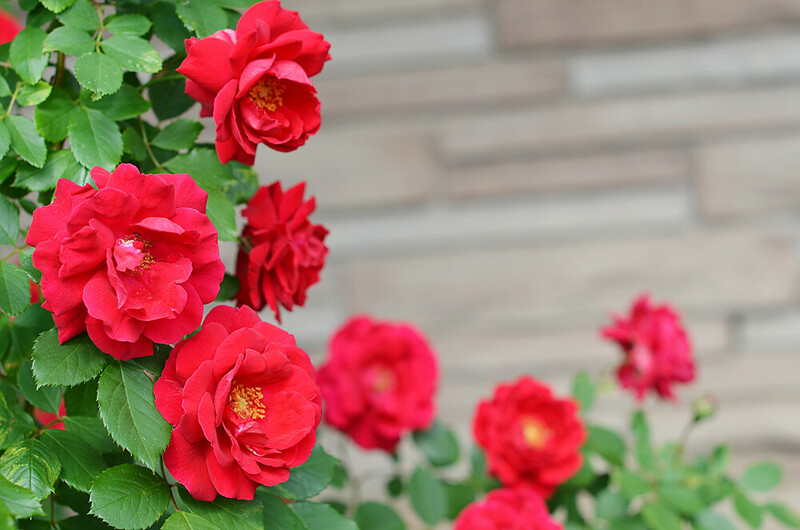 Your roses are blooming, just like you! I wouldn't mess with that squirrel. Look at how buff he is. All I know is that when I see a squirrel doing chin ups I get the hell out of there. mmmm I'm going to try that in my salads! yumm!